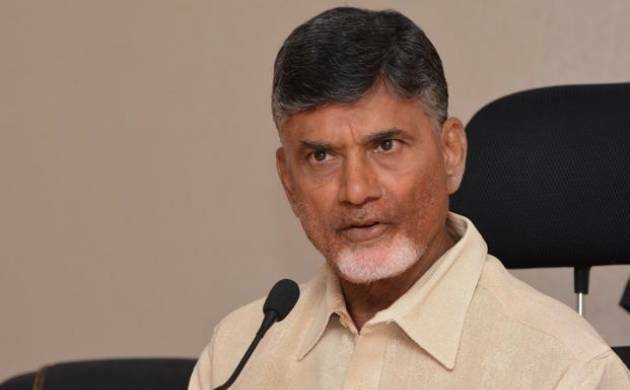 Andhra Pradesh Chief Minister N Chandrababu Naidu on Sunday inducted into the Cabinet his son Nara Lokesh and six others besides the four opposition YSRC MLAs, who had joined his party TDP, after dropping five ministers. Naidu effected the first major reshuffle of his Cabinet since formation of the TDP-BJP government on June 8, 2014, attracting angry reactions from Leader of Opposition Y S Jaganmohan Reddy and triggering discontent in his party. Jaganmohan Reddy said the induction of four YSR Congress MLAs into the AP Cabinet was a “grave insult” to the Constitution and also to the state. “This is a black day in the political history of Andhra Pradesh,” the YSRC president said. One of the dropped ministers, Bojjala Gopala Krishna Reddy, resigned from his assembly membership. The veteran TDP leader from Chittoor forwarded his resignation letter to Speaker Kodela Sivaprasada Rao on Sunday morning. A copy of the letter was also sent to the CM. Chandrababu spoke to Bojjala over phone and is said to have explained the reason for his sacking. Governor E S L Narasimhan administered the oath of office and secrecy to the new ministers at a function near the state government’s transitional headquarters at Velagapudi. The AP Cabinet’s strength has now increased to 26. The Cabinet now has four members of the legislative council, including Lokesh who was elected to the state legislative council under the MLAs’ quota last month. The four YSRC MLAs, who were sworn-in as ministers included R V Sujay Krishna Rao, Bhuma Akhila Priya, Ch Adinarayana Reddy, N Amarnatha Reddy. Veteran TDP leader and party’s state unit president K Kala Venkata Rao was taken into the Cabinet while his sister-in-law Kimidi Mrinalini was dropped. The others from the TDP to get Cabinet berths included Pithani Satyanarayana, Nakka Ananda Babu, Somireddy Chandramohan Reddy, Kalva Srinivasulu and Kothapalli Samuel Jawahar. In all, 21 out of 67 MLAs of the YSRC switched loyalty to the TDP since February 2016. “Though being the constitutional head of the state, the governor himself participated in this gross violation of the Constitution.”“It’s a grave insult to the Constitution and also to the state,” he said. Would anyone having faith in democracy and the Constitution ever support such a brazen act, he asked. “Admitting the MLAs who won the 2014 election on YSRC ticket into the TDP, by purchasing them, itself is degenerative,” he said. “Instead of disqualifying or making them resign, crowning four of them as ministers is brazenly transgressive,” Jagan lashed out. When those who were supposed to uphold the Constitution have been blatantly abusing it, what meaning do the elections, democracy, council of ministers and law and order hold, the YSRC chief questioned. “People will not tolerate such immoral acts and they will soon deliver their verdict appropriately,” Jagan said. Meanwhile, TDP MLA from Vijayawada Central, Bonda Umamaheswara Rao, who aspired to become a minister, announced that he would resign from his post but continue in the party. MPs Kesineni Srinivas and Konakalla Narayana tried to pacify Bonda but the latter remained firm on his decision. Government whip Ch Prabhakar was also apparently upset that his rival Pithani Satyanarayana, who joined the TDP on the eve of 2014 elections, was made a minister. In Kadapa district, the home turf of Jaganmohan Reddy, there was some resentment among those opposed to Adinarayana Reddy, who has been made a minister. Rama Subba Reddy, senior TDP leader from Jammalamadugu in Kadapa, strongly opposed the inclusion of Adinarayana Reddy in the Cabinet and threatened to quit the party. Those dropped from the Cabinet are Palle Raghunatha Reddy, Bojjala Gopala Krishna Reddy, Kimidi Mrinalini, Peethala Sujatha and Ravela Kishore Babu.